Home › Academy › Help & FAQs › How to enable Facebook login on my website? 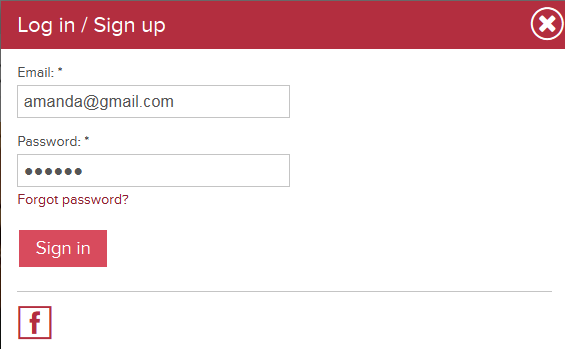 You can allow your users to sign up and log into your site with their data at Facebook. If you are not signed up as developer yet, you will be prompted to do it. 2. Set up your Display Name, Namespace and Category. Display Name – application name which is displayed in the list of Facebook applications (any characters). App Namespace – name that identifies the address of the application page. For example, if you set “datingsite” as an app namespace, then the application page URL will look like http://apps.facebook.com/datingsite/. If the field is left blank, the page will get a random address. 3. Click “Create App ID” and go through the security check. Once the security check is passed, you get to the application settings page. 4. Copy App ID and App secret, add this information into your administrator panel>System>Social networks and save the changes. 5. Continue configurations on Facebook. Go to Settings >Fill in your Contact e-mail >Click “Save changes” button. 6. Click «Add platform»> Select a Website as a platform. Write your Site URL and save the changes. 7. Go to Advanced settings> Write your site URL as valid OAuth redirect URIs>Click “Save changes”. 9.Go to Status&Review section and make your app live.